Dog Trainer College is the ideal next step for anyone who wants to turn their love of dogs into a career. Our dog trainer certification school near Illinois will give you the tools and training your need to be a knowledgeable, certified dog trainer. Dog Trainer College includes the coursework, instruction and fieldwork you will need to successfully train a dog in any of the following disciplines. Read on to learn more about the courses and training offered. There are many different types of dog trainers, and we can teach you to become a dog trainer in any field. When it comes to working with dogs, obedience training and protection training are two of our most popular courses. You will learn how to effectively and humanely stop negative behaviors in a dog and reinforce positive behaviors, bringing out their most valued traits and putting them to use in a variety of specializations. We can also certify students in police dog training, service dog training, scent detection, tracking and more. 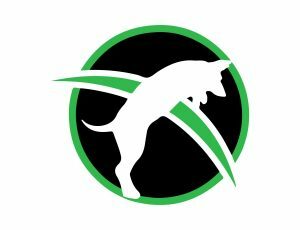 Dog training of any type requires specific skills and techniques. Students will learn these essential skills in our courses, and see firsthand how a dog responds to them. After learning these techniques and their purpose, students will have a chance to test them in the field, working with a dog throughout their training. With classes in obedience, service, police work, detection, security and more, students can specialize in any individual aspect of dog training or learn all types of training through our master trainer program. Sign up for one of our dog certification courses near Illinois today or call us today at 812-650-2394 to learn more about Dog Trainer College and to find out if trainer certification is right for you.